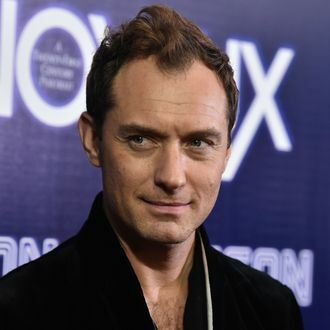 In Vox Lux, Jude Law flips the script of his own reality by playing a talent manager. He’s a particularly involved and manipulative one, making a lot of very questionable choices while overseeing the career of Natalie Portman’s Celeste from adolescence to adulthood. But despite (presumably) being surrounded by high-profile talent reps for most of his life, Law says he didn’t draw inspiration from any of them. Instead, he had stranger inspirations in mind.